You want to build a world-class physique, and you want advice from someone who's actually done it, both for himself and his clients. You want to improve your body, but avoid head games and emotional food issues. You want to lose fat, but also want a healthy, sane body image. You want to build muscle, and you're tired of cheap gimmicks. You want a better relationship with food. I’m going to offer real truth and honest advice. I’ve been in the fitness industry for more than four decades, and at this point I’ve worked with literally hundreds of clients, from every day people to pro bodybuilding competitors to magazine fitness models. 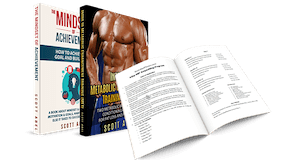 This website is about helping anyone who wants to lose fat, gain muscle, and sculpt a better physique. Sculpting an aesthetically pleasing physique is fine, but it also means sculpting a healthier body and a healthier mind. Your physique goals can’t come at the expense of these things. Trust me. You’ll regret it. That means avoiding the dark side, avoiding eating issues, and getting back to what fitness was “supposed” to be all about. Think back to the golden age of bodybuilding, back in the days of folks like Lee Haney, or my mentor, Bill Pearl. That’s the kind of fitness you will find here! Coaching people to help them achieve their fitness goals has been my bread and butter for the better part of my career. I remember in the early 80s when the idea of charging for custom meal plans to help people get ripped for the stage was new and strange. One-time custom workout plans based on a full assessment of your needs and goals. A customized meal plan unique to your body and your goals. Stop guessing and get something that’ll just plain work. I’ll put you on a. workout and diet plan, and then you’ll get ongoing personal access to me to get advice, tweaks, and customizations. Get two 4-Day MET programs to optimize metabolism, build muscle, and burn fat. Learn the mindset strategies used by my champion clients. Specific training tips for different bodyparts. 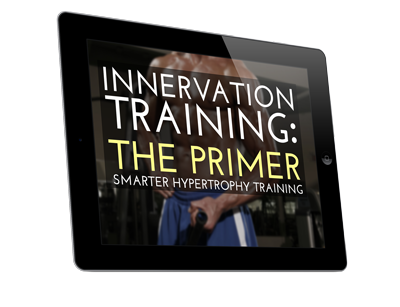 Why “load” isn’t enough to induce hypertrophy. What the research on ranges and planes of motion means for your training and hypertrophy goals. Individual training tips you can implement today, in your very next workout.